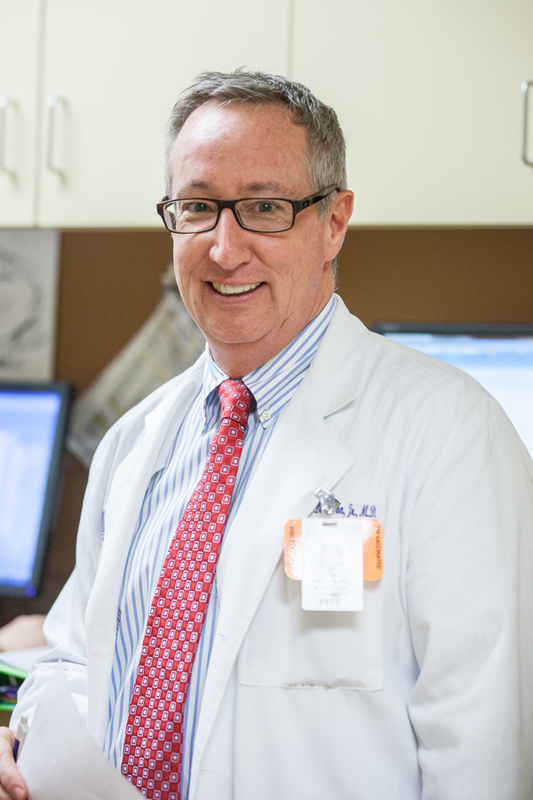 Dr. Randy Davidson specializes in procedures of the foot and ankle. Dr. Davidson has 25 years of experience in orthopedics. Following are a few of the foot and ankle conditions that Dr. Davidson treats. Click to read more about the causes of these conditions and how they’re treated. This condition is a progressive collapse of the tendons and ligaments that hold up the foot’s arch. This condition most commonly affects women. It typically occurs in only one foot, but in some cases, both feet are affected. Stress fractures are small cracks that can occur in a bone because of overuse or activities that place high stress on the structures of the foot and ankle. This surgical procedure is used to help relieve symptoms of hallux rigidus by removing bony growths on top of the big toe’s main joint. This procedure improves joint movement and is most successful in patients with less severe arthritis. This surgical procedure is performed to correct a gradual degeneration of the Achilles tendon resulting from tears in the tendon that have not healed properly. Removal of the degenerative tissue in the tendon can minimize pain and help the tendon heal. Morton’s neuroma is an enlarged nerve, compressed or pinched between the bones and the ligament that holds them together. This procedure eases the pain by releasing pressure from the nerve or removing the nerve.